Crestron, a global leader in workplace technology, will debut the next generation of its DM NVX™ network AV solution at ISE 2019, 5 – 8 February, in Hall-2, Stand C20. Now, with all-new Pixel Perfect Processing technology, DM NVX is the only network AV solution that delivers a flawless image every time. Working with partners such as Intel®and intoPIX, Crestron made image quality even better – so much better, you can’t tell the difference between DM NVX video and a direct video feed. Like the previous generation of DM NVX, there’s no latency, and it supports more video formats than any other manufacturer. 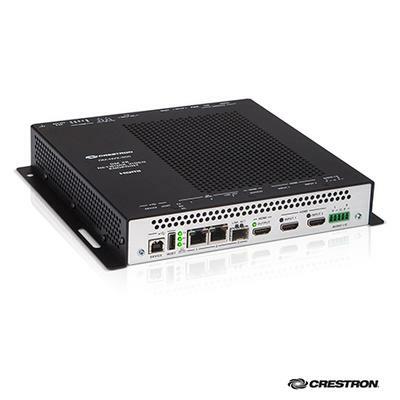 Crestron is also committed to growing the DM NVX product family. The new DM-NVX-E30(C) and DM-NVX-D30(C) are encode or decode-only units that support HDMI® connectivity and analog audio, delivering additional flexibility for basic endpoints when only video and audio are needed. The new DM-NVX-352(C) provide the same feature set as the DM-NVX-350(C) plus support for AES-67 and Dante™ audio networking. Additionally, all current DM NVX products can benefit from Pixel Perfect Processing with a simple FREE firmware upgrade. See the picture perfect quality of the all-new DM NVX for yourself. Visit Crestron at ISE 2019, 5 – 8 February, in Hall-2, Stand C20.